Looking out the window and it looks like the perfect Fall day....my favorite kind of day! Yesterday poured all day. I took the kids for haircuts and then I took the big two and their cousin to a place called Life that has laser tag and arcade games for a bit. We had a major score there since we were so early and the place was empty -- I had a groupon for 2 and they hooked us up to get all 3 in for free, play laser tag twice and tons of coins for games. The kids had a blast. My niece decided she was up for hanging out the rest of the day with us so we swung by the dollar store and picked up wood sticks, wood glue and paint for arts and crafts. Last night we made one of my favorite traditional Fall meals -- Horseradish-Crusted Brisket with carrots and mashed potatoes. It was so good. I still had a ton of apples so used them up and made another apple crisp for dessert. 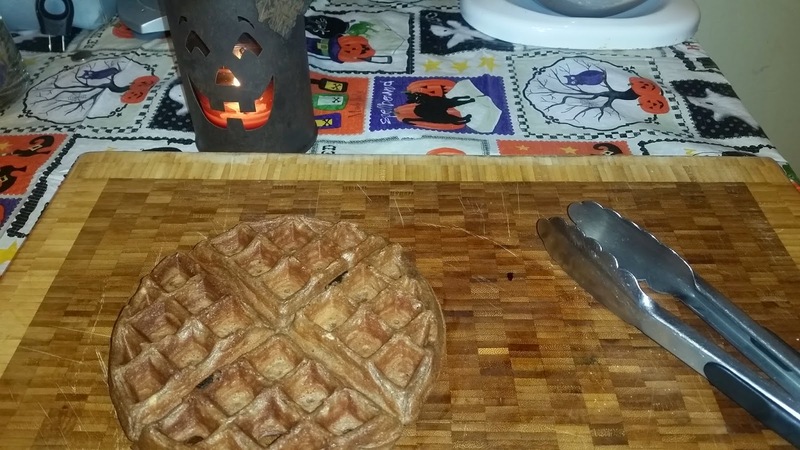 This morning the kids helped me make cocoa blackberry belgian waffles. Off to piano and then football!